This content is provided by Steven Brose. Steve Brose is the co-founder of Steptoe’s pipeline practice and one of the most prominent oil pipeline attorneys in the country. 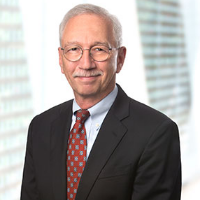 Steve has more than 35 years of experience in a broad range of administrative, judicial, and transactional matters, principally involving pipelines. He has served as lead counsel in a number of the most complex oil pipeline matters to come before the Federal Energy Regulatory Commission (FERC), including cases for the largest North American transporters of crude oil, refined products, and natural gas liquids. Several of these cases resulted in innovative, long-term settlements.